GOP Senate Candidate Deletes Her Pro-DACA Video - Joe.My.God. The office of Arizona Republican Rep. Martha McSally has removed from public view a video on YouTube of her defending the Deferred Action for Childhood Arrivals program, or DACA. 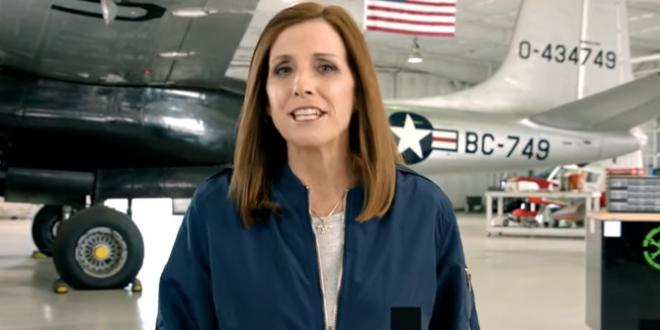 McSally is currently running in the Republican primary to replace retiring Sen. Jeff Flake against former state senator Kelli Ward and former Maricopa County Sheriff Joe Arpaio, who are both hardliners on immigration. A press release from her office in June 2017, before her Senate bid, highlighted McSally’s questioning of then-Homeland Security Secretary John Kelly about immigration and border issues at a House committee hearing. McSally last appeared on JMG in March when she was busted for sock-puppeting comments on her own Facebook page.